You are responsible for leading the local corporates team and for dentifying new business opportunities both locally and internationally and playing a key role in commercial activities such as presentations, RFPs, events and networking. We are seeking a driven, experienced, client facing Senior Manager to lead the treasury and treasury technology efforts and contribute to the development and recognition of the Corporate clients team for our Swiss office. The ideal candidate will have the ambition to work in a smaller team and take it through a growth phase, engaging on a variety of treasury management and treasury technology projects, which demand flexibility, strategic thinking and excellent analytical skills. Advising clients surrounding treasury management and treasury technology solutions as well as the implementation of proposed solutions. We are a leading international consultancy firm focused on Treasury Management, Risk Management and Corporate Finance. From our offices in the Netherlands, Switzerland, Belgium, United Kingdom and United States our 160 consultants service corporates, financial institutions, public sector entities and NGOs. Zanders has established itself as a recognised specialist in treasury management and the related technology solutions. 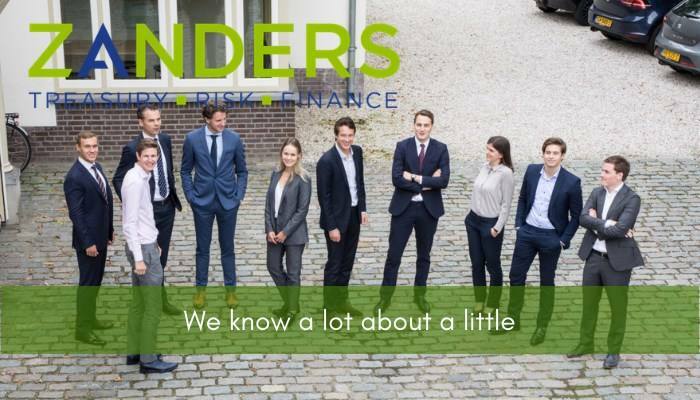 Please send your application for Senior Manager: Corporate Treasury and Treasury Technology at Zanders in Zürich including your CV via our website.